Sunday. Alex began sanding and prepping the plastic helmet for painting. The Killer Chrome paint will be arriving on Monday. We need to make the surface as shiny as possible or the paint will look horrible no matter how great the paint is. For the most part, Sunday was pretty relaxed and not much happened. I took the opportunity to work on my LED suit a bunch. Monday. I began an all-out production line soldering up PCBs. There are 16 boards that go behind the rainbow side colors, and two main jaw boards that house the PIC microcontroller, the equalizer, and the 3mm round chasers. The rectangular boards with the three boards and the MOSFET are the rainbow boards. You can't miss the big through-hole resistor added last-minute. Oops. Meanwhile, we tested the LEDs out with the colored cellophane, and we were not impressed at all. The colors became very washed out under the bright LEDs. We decided to make some white plastic diffusers that would double as a little structure for the thin colored material. The Killer Chrome paint turned out to be a disaster, as we had worried might happen. For some reason, even though the surface was smoothed and shiny at the start, no matter what we did, the jet black base coat always dried flat. With a flat base coat, there was little hope for the chrome step. As expected, from that point the chrome step didn't turn out well either, and it was all downhill from there. Unfortunately, this is the one step we knew would cause us the most issues, and we were forced to resort to our backup plan: plain old "chrome" spray paint. Danny and I met up with Alex for our ritualistic lunch at Five Guys. Alex pulled up and grabbed the gold spray-painted helmet out of the trunk and Danny and I both let out a sigh of relief. It didn't look THAT bad. Actually it still looked pretty awesome. It's nowhere near Volpin-good, but its not bad. Alex designed the diffusers to snap right into the existing light frames. Each one is a different shape and they are each numbered very secretively. Sick! Danny is starting to glue on some wires for the hair. It looks like a very painful process. After work, I started wiring up the electronics in the light frame assembly. We convened at Alex's house around 8 PM to work on the final assembly. I drilled and tapped the plastic frames to mount the PCBs with #4-40 screws, while Danny and Alex worked on the colored cellophane and the EKG decal. The color material is doubled-up and glued with 3M spray adhesive. When both of our parts came together, we tested out the colors under the diffuser panels. Pretty cool! We mounted the light frames into the helmet. We adhered the visor to the helmet with some PSA (aka double-sided tape). With some quick splicing of wires, we were able to get both sides running a test pattern. We were expecting the two sides to slowly become out of sync, but happened sooner than we expected. I will be adding some basic communication between the two sides in order to alleviate the sync issues. We videotaped the "unveiling" since it was such a special moment. All in all, I think we've done pretty good considering the circumstances. We're way ahead of schedule, only a few small items remain. Even though we knew we'd never reach perfection, we have learned a lot and it came out looking pretty nice. Great use of the Laser printer, not to mention the 3D modeling and light programation. is there any way to buy one?? can i buy one with out the lights in it??? just the helmet?? please let me know at sharplesam@yahoo.com!! thanks!! i also have the same question as superbeen119, but i'm also looking to make one with an art student friend. I'm currently working on a helmet of my own and seem to be quite lost in designing my circuit for the lighting. From the few people I've seen do this I've been most impressed by your lighting scheme and was curious if you would be willing to sell a kit/schematic of what you used for this project. What a wonderful work you did!! Actually, i'm about to build one myself, but i don't know how to use softwares such as solidworks, so i was wondering if (guess what's coming next :) ) you could send me the cad file please? That would be greaat! Keep on doing such a good job!! upload the solidwork file please?? Hello. Is it possible to buy one? If so, what's the price? I'm a high school student with acess to a 3-d printer and would like making the helmet as senior project (go to a engineering school). Is there a possibility of getting the solidwork/inventor files? Por favor, ¿me puede enviar los archivos que utilizaron? Me interesa hacerlo, e ir paso a paso asta el final, ya que de este casco depende que mi hijo saque buenas calificaciones porque se lo puse de condición.O en su defecto hacer el pedido dejo mi correo bebejeshua@gmail.com tank you. Would be amazing if you could send me the solidworks files, theres a 3d printer nearby and would love to take a crack at building one of these myself. ePageWiz will be a program that also converts html pages to be able to a remain-alone EXE post. This ebook software offers full support of multimedia contents (HTML Pages, Java Scripts, Flash Files, VB Scripts, Graphic Files, Video Files Fashion Sheets, Sound Files and etc). This program also gets a chance to help password protect your post from copyright violators and the capability to be able to add 'trial limitation' which require users to be able to register in order to have full reach to be able to the manuscript. Hey Marc! I know a lot of people have asked you for the solidworks files, but I have yet to read a response from you that said no... 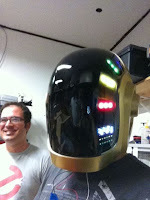 So I'm another dreamer hoping to kick-start my Daft Punk dream.